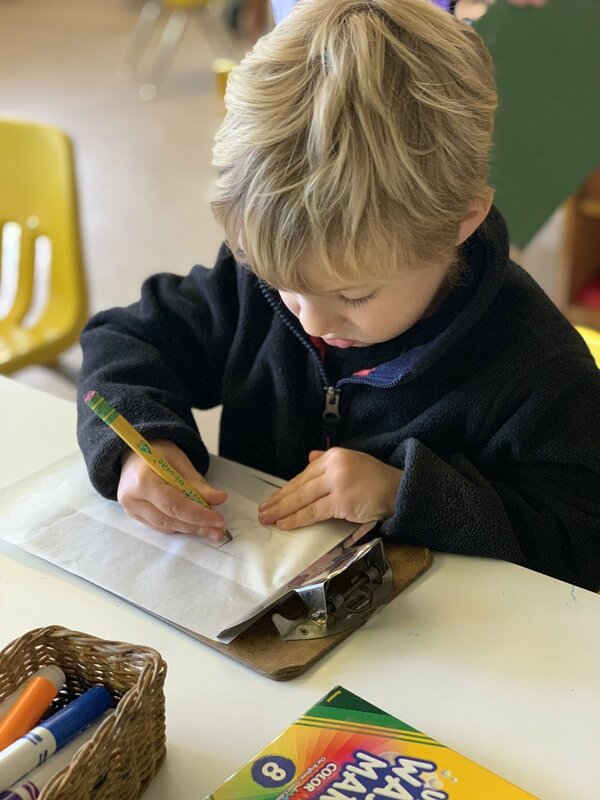 The Montessori School of Ojai (MSO) Infant Program is designed to nurture young children, while providing the physical, emotional, and intellectual stimulus to help them optimize their potential for learning and growth. The focus of the infant environment is fostering basic trust in the child. The teachers’ response to the infants’ needs, both physical and psychological, conveys the message of safety and acceptance. As the child develops, enormous changes in the child’s ability, as well as an intense need to develop independence, demand a safe environment and an atmosphere that encourages and facilitates the transition from the dependent state of infancy. The role of the parent remains paramount. Emphasis is placed on creating a trusting, collaborative relationship between the parents, extended family, and the MSO community. The Infant classroom includes curriculum developed specifically for the infants. In line with the Montessori emphasis on sensorial education for younger children, students have access to beautiful manipulative materials as an integral part of their curriculum. To foster the development of self-discipline, the classroom is orderly, and allows children freedom of movement and decision-making opportunities. Teachers encourage communication skills to assist the children in verbal expression. In line with the Montessori emphasis on sensorial education for younger children, pre-kindergarten students have access to beautiful manipulative materials as an integral part of their curriculum. To foster the development of self-discipline, the classroom is orderly, and allows children freedom of movement and decision-making opportunities. The main focus of this environment is to meet the developmental needs of children of this age, particularly in the areas of independence, sense of order, language expansion, refinement of movement, socialization, and toilet learning. These developmental needs are met always with the ultimate goal in mind of assisting the child to become more and more independent. Language development happens constantly in the pre-kindergarten classroom. The child is given the names of everything in the classroom, taught the names of feelings and appropriate ways to express them other than physically. Children are encouraged to talk about everything. Besides the encouragement of conversation, language is explored through songs, rhymes, and books. Young children have a great need for order and routine. Their sense of order is encouraged through predictable surroundings. Only by experiencing external order are they fully able to develop their inner sense of order. Order in the classroom is fostered through a daily sequence in specific lessons and routines (meals, group time, etc. ), and predictable placement of lessons on the shelves. This encourages trust in the environment and in themselves. Experiencing this trust increases self esteem and confidence. There are activities in the classroom that foster independence such as choosing work, completing a sequence of tasks within the work, interacting with others in a positive manner, completing toilet learning, etc. There is ample opportunity for the children to move about freely, making contact with those around them and supporting their budding desire for socialization. The classroom is clean and attractive. The furniture and materials are sized to the child. The shelves are uncluttered and include safe, interesting materials to touch and manipulate. Children study the basics: math, writing, language and reading, as well as geography, zoology, botany, physical science, art, music, and more. The teacher can respond to a child’s interest and level of understanding by presenting lessons to individuals. The classroom and teaching and practical life lessons are all oriented to the child becoming a self-sufficient and disciplined individual. Our main goal for the pre-kindergarten/kindergarten child, ages three to five years old, is to help him/her learn to work independently, to take care of one’s needs, and develop a good self image. Children have different interests at different times in their lives. Maria Montessori termed these developmental stages “sensitive periods.” Our respect for these stages and the individual variations within them gives us unique expectations for each child. Within the Montessori classroom, children are free to move around the room instead of staying seated at desks. There is no limit to how long a child can work on something she/he has chosen. Opportunities for both individualized learning and large group experiences occur naturally in this multi-age setting. The wide variety of activities and materials nourish self-confidence, concentration, cooperation, and respect for others. The organization of experiences and impressions is guided by a multi-sensory approach. The child discovers reading through phonics, mathematical concepts through concrete materials, and geographical relationships and scientific information through manipulating objects and real life materials. It is between the ages of three to six that the child most easily learns the ground rules of human behavior. These years should be constructively devoted to empowering the child through the acquisition of good manners and habits to assume a place in society. The child who has had these opportunities in the Montessori environment is better prepared to devote more effort to the development of his/her intellectual faculties.